Unprofitable deals cost you. Stop your losses now by taking the right steps towards peak profitability. It’s a fact that 80% of your profit is generated by 20% of your customers. But have you considered another metric: 20/225? Robert Kaplan from the Harvard Business School maintains that 20% of your customers generate 225% of your profit and, startlingly, 10% of them generate 125% of your loss. 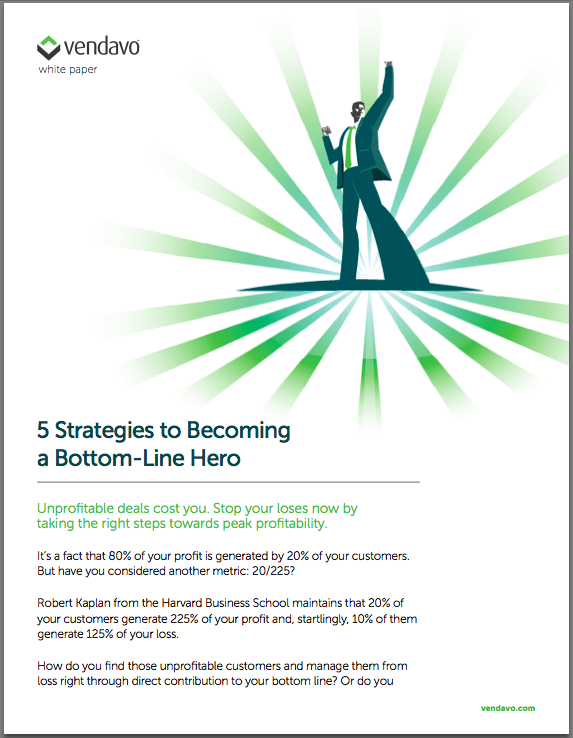 How do you find those unprofitable customers and manage them from loss right through direct contribution to your bottom line? Or do you eliminate them altogether? How do you make the right set of informed decisions about them to keep your business profitable and growing?